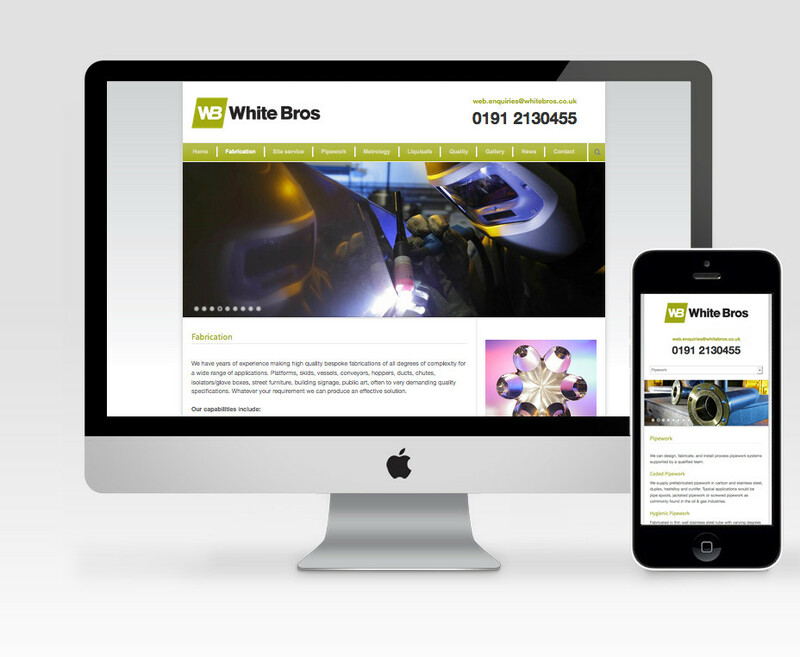 White Bros are manufacturers of high quality stainless steel fabrications and providers of site servicing, pipework, coded welding and metrology services, with over 125 years proven track record. 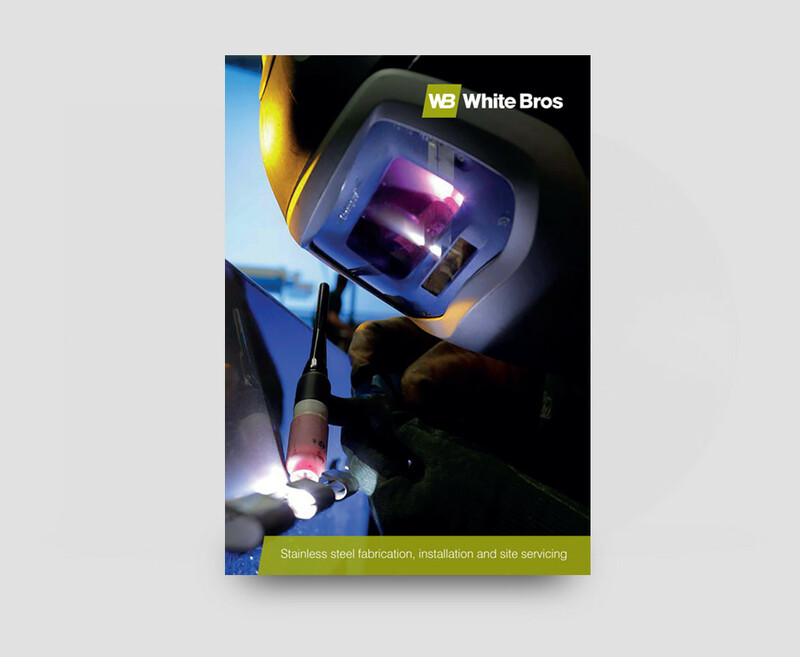 Their previous branding was dated, uninspiring and didn't reflect the companies forward thinking approach to business, exceptional quality, service, and a can-do attitude. The objective was to re-brand the company with a fresh new look, update their product literature and re-build the website to better position itself in an expanding and competitive market. I produced this work while working for GDA (Gainford Design Associates), now Design Tasks who I also collaborate with. 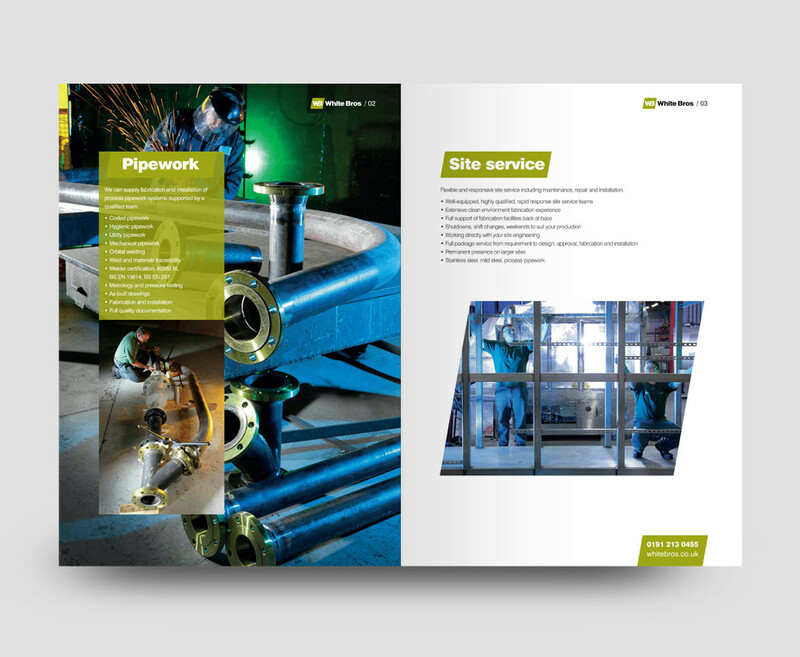 The typography and colour pallet were updated using a bold confident typeface to represent the companies strength, reliability and knowledge. The logo was placed in a skewed angled box reflecting the angle of the 'W' as well as representing the companies forward thinking approach. 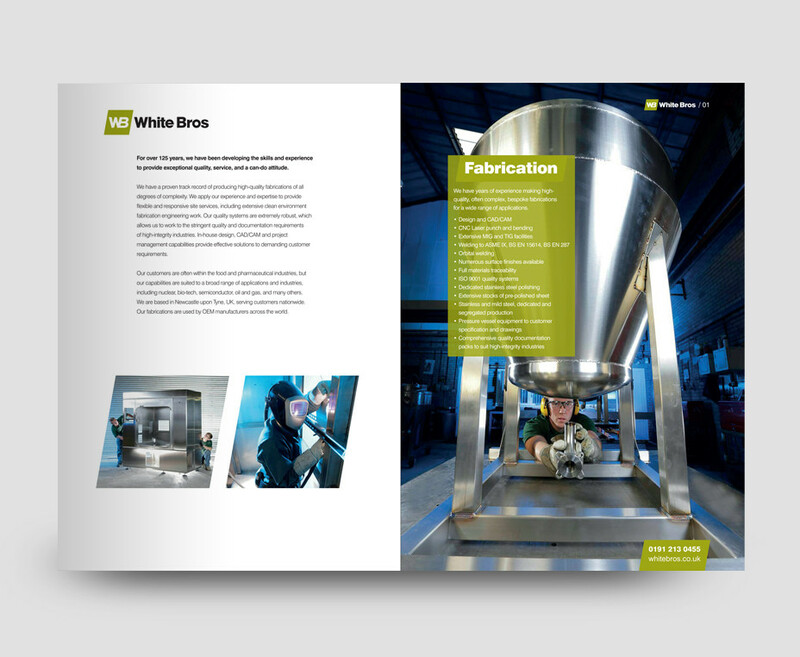 This angled box was adopted throughout the companies literature to place images and highlighted text, to give a constant look. 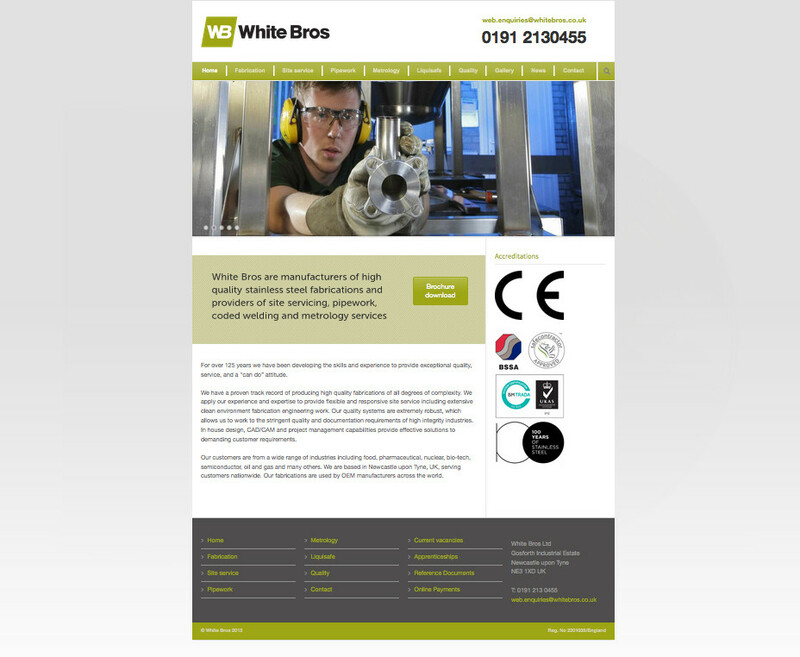 The website was completely rebuilt to reflect the companies new brand and to view consistently on all devices.